Hi everyone!! 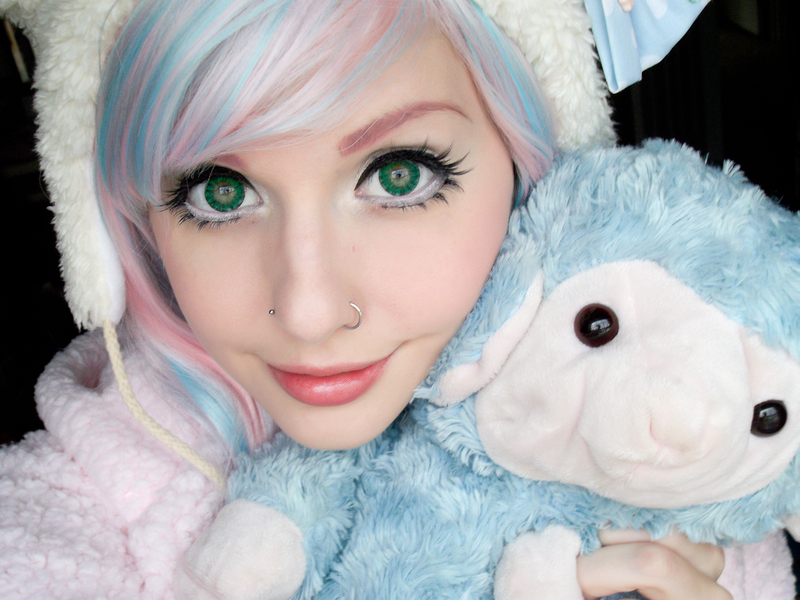 Today I am bringing you a LONG OVERDUE review of fabulous Cos Lenses! 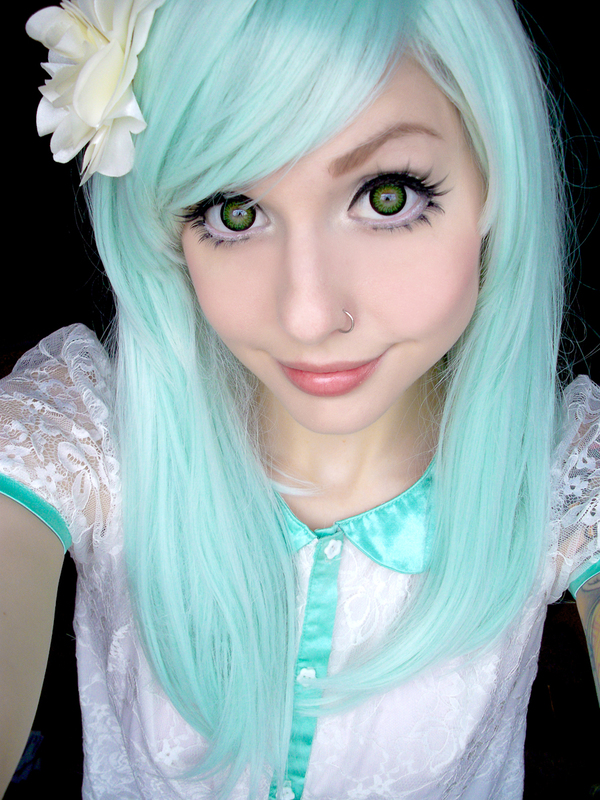 Cuties like yourself come to me all the time with questions about circle lenses for light eyes. I am no expert on the topic but I know where they are coming from in their confusion and curiosity. 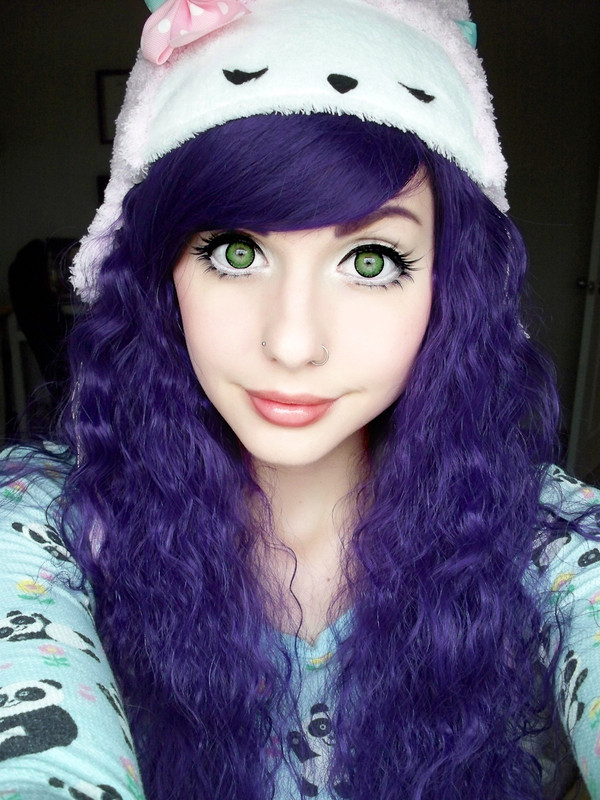 People with light eyes often have lots of trouble finding photos of circle lenses that aren't photographed on dark brown/black eyes. So, here I am. When I got the chance to review Cos Lenses, I took this opportunity to search for the best green lenses for green eyes. Some of my most commonly worn lenses are lenses that match my eyes. You're probably wondering- why wear lenses that people can't even see? WRONG! I wear green lenses more frequently than any other color! I wear them for their enlarging effect and subtle designs that blend with my natural color far better than any dark lenses. Circle lenses that match your eyes are great for every day life or for first timers that are worried about looking "alien-like" with huge lenses and a shocking color contrast. So, for all of those reasons, I bring you this review. 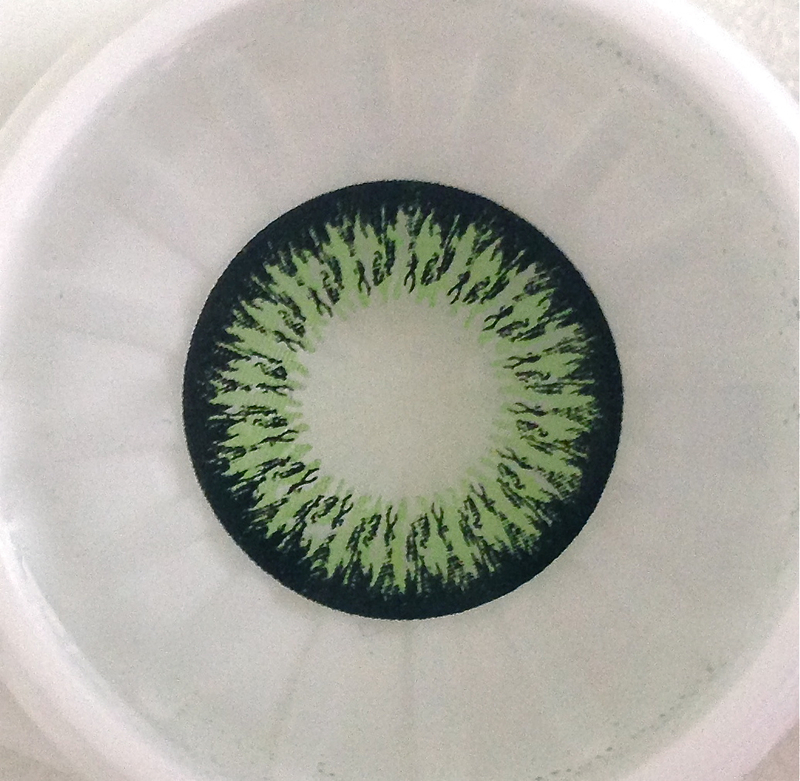 For my selection of lenses from Cos Lenses, I wanted to get lenses that were a brand I've never tried (I.Fairy), in their largest diameter offered (16.2mm), had cool designs, and that were green. This led me to my top three choices: Nova, Ash, and Super Crystal all in green. The lenses came in two cute pink boxes (one box contained two pairs and the other had one pair). 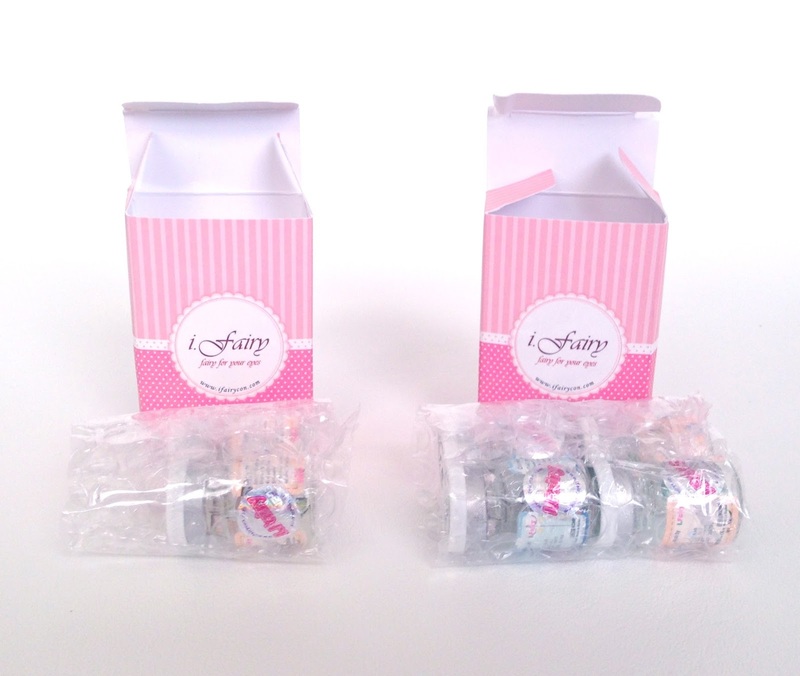 All the vials were securely wrapped in bubble wrap and made it safely to my door. I chose Ash in green because I thought it was a pretty safe choice for a Dolly Eye look. It has all of the key things to look for in doll eye circle lenses: thick black outer ring, bright color, and 16.2mm size. 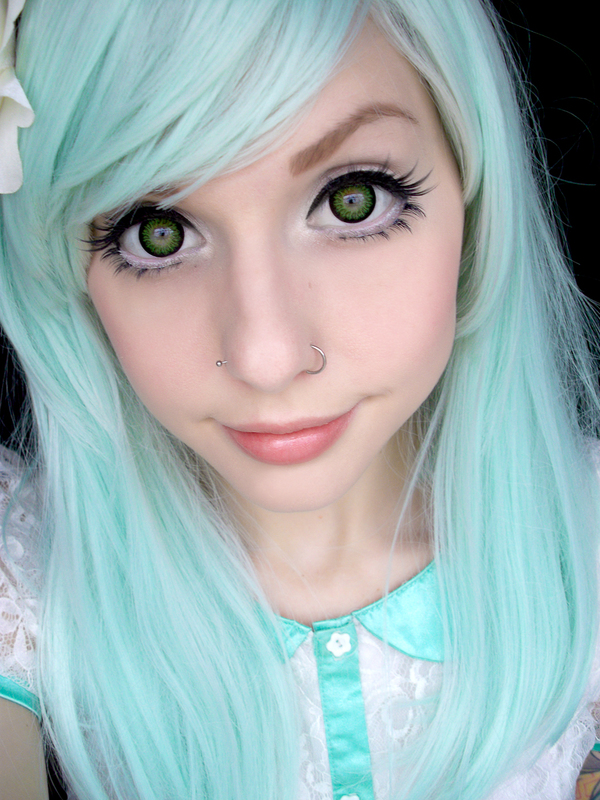 Dolly eye lenses are my favorite types of circle lenses. I'm not sure if this is because I like being an anime queen or if it's just what I'm used to, but I am drawn to that basic design. The lens looks just like the stock photo. The color is a bit darker than my crappy cell phone pic of it ^ but it's a lovely color! The color is actually extremely accurate in the stock image. Let's put them on and use a better camera, shall we? Oh my godddd! They are soooo pretty!!! I love this design. It is very dolly with it's black outer ring and thick green coloring. I like that the design feathers in a bit instead of an abrupt transition like the Dolly+ series (although I am a huge supporter of the Dolly+ series). I love the deep, dark green of these circles. They are a little dark for my eye color, but I actually quite like the effect of the darker green outer bit and light green inside. It makes them look even more dolly... Almost glass-like. In a good way. Huge! All of these lenses are listed at 16.2mm on their respective product pages, though I'm not really sure if I can see a noticeable difference between the usual 15mm and the larger 16.2mm. Either way, they are huge. Pleasantly surprised! I can barely notice them. They fit my eyes well. 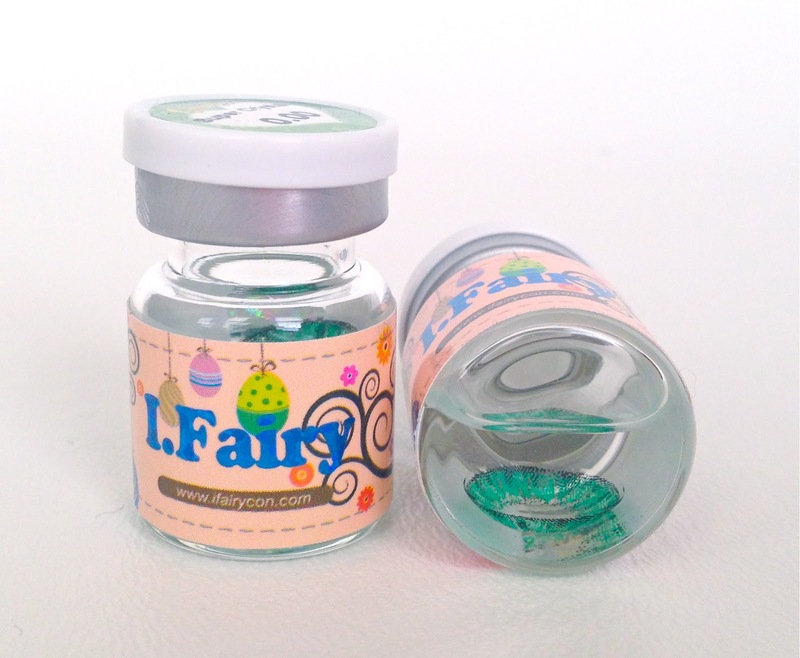 I am always skeptical when trying new brands for the first time, but I will definitely be willing to try more I.Fairy lenses. I am giving them a point for being green like my eyes, but otherwise, they are not very natural. Quite large. But again, naturalness is category that I rarely strive to get a 5/5. 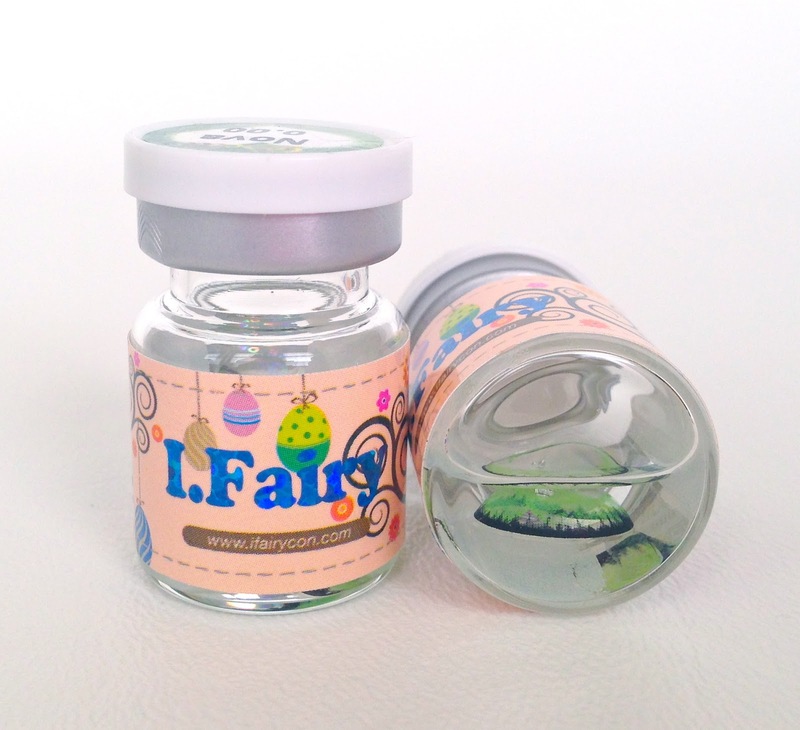 Time to check out I.Fairy Super Crystal in Green! These lenses are very pretty. To say they are my least favorite does not mean that I don't like them, it just means I liked the other two better. The reason I don't like them as much is because it doesn't look like the stock image which looks like... wait for it... a crystal. I picture the stock image on my eye and it seems like it would be glossy and dimensional and intriguing. 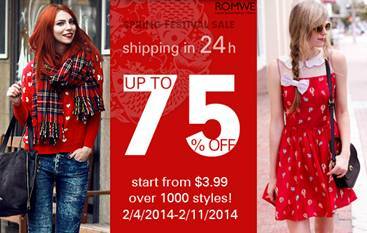 The overall design is the same, but the green color is VERY different and the design itself is quite pixelated, as you can see in the photo above. As I mentioned above, the design of the Super Crystal lenses is very pixelated when you look at them up close. They look fine from far away, but people aren't always far away, ya know? A little disappointed but nothing that would stop me from wearing these, because I still think they are very pretty lenses. The color is the main thing I want people to know about these lenses. 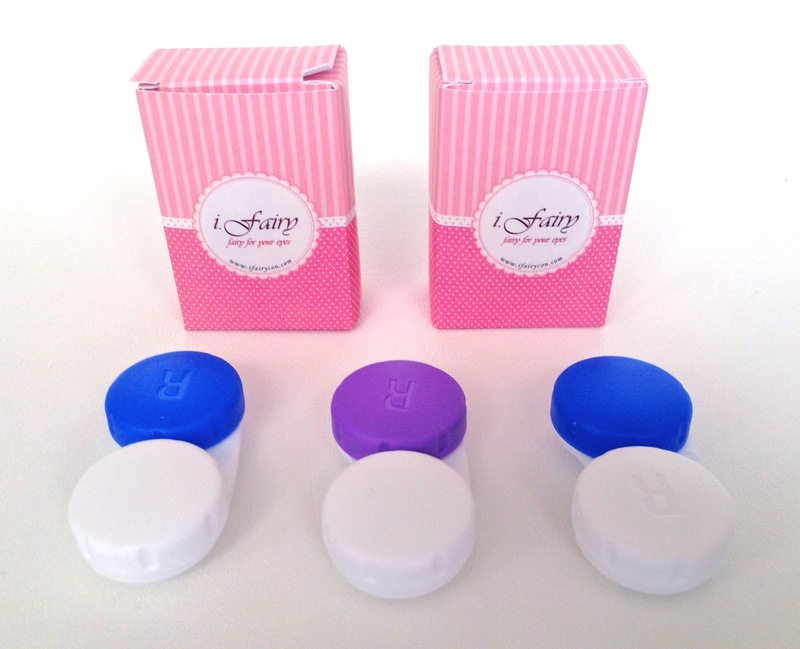 Most people pick their circle lenses based on the color first and design second. 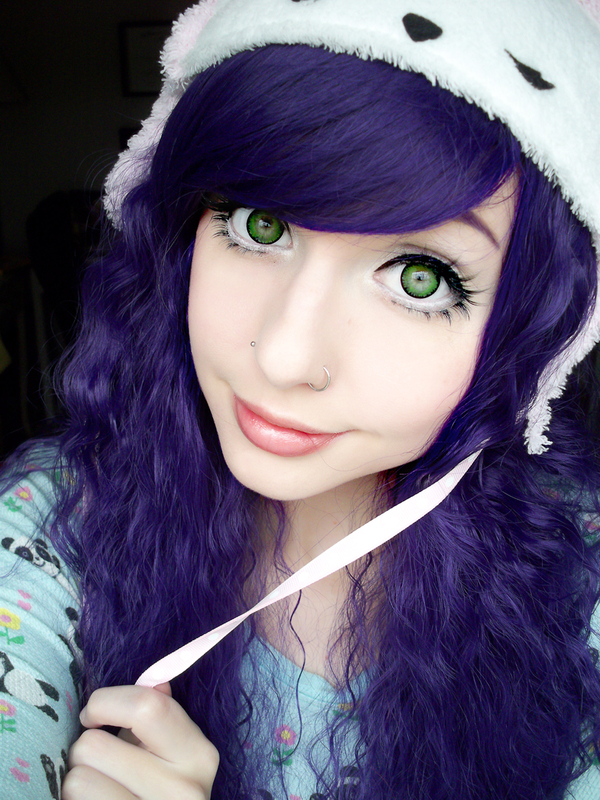 The exact color of circle lenses is VERY important when choosing a lens, whether it's for a cosplay, to match your eyes, or just a specific color you've always dreamed your eyes were. While the actual color of these lenses is not a bad color at all (I actually like it), I feel that the stock photo is so misleading that I have to take off many points. 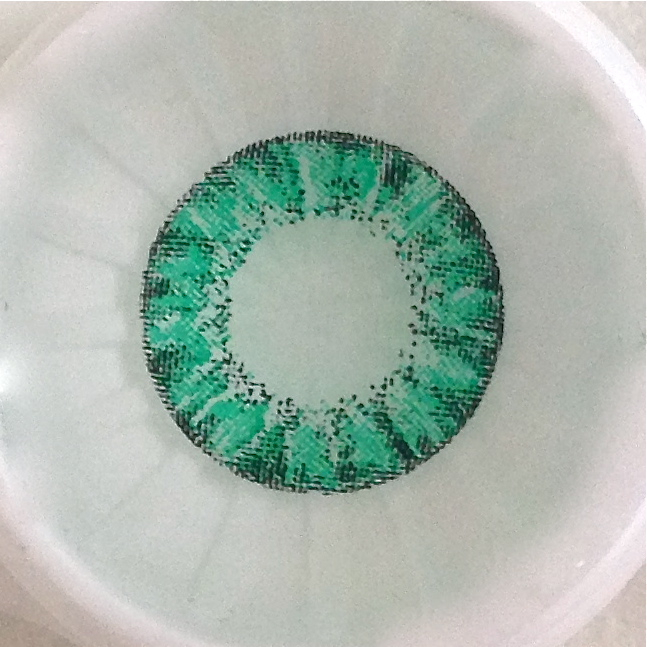 The stock photo shows the lens as an olive color, and the actual lenses are a bright aqua blue-green. Huge! All of these lenses are listed at 16.2mm on their product pages. Noticeable great enlargement! 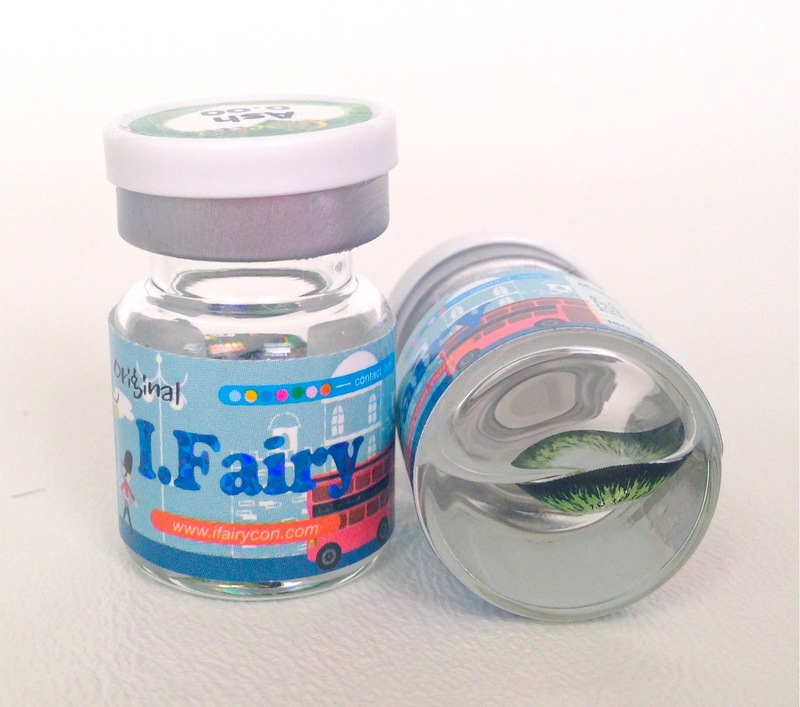 Very comfortable, as I've found all three of the I.Fairy lenses I've tried to be! I have to divulge a little secret... And I am embarrassed and I DO NOT CONDONE THIS~ I brought these lenses with me while traveling (because while this review seems to slam them, I really do like them), and I guess I didn't close the case all the way and the contact solution leaked out ;o; A few days later when I went to wear them, they looked like shriveled little pieces of colored rocks. 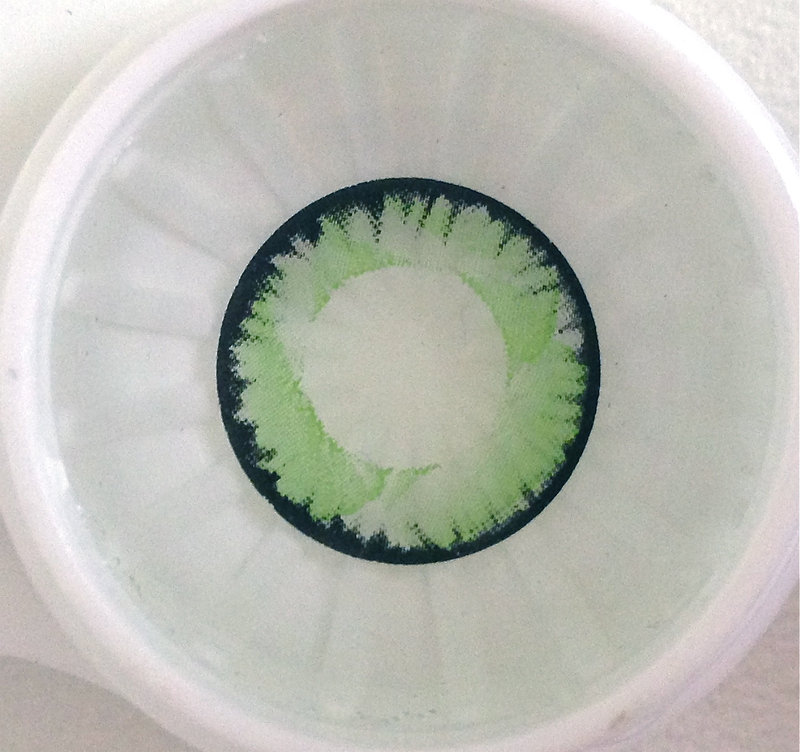 *cry* I've never mistreated a pair of contact lenses like this, so I was hoping and hoping I could restore them!!! I filled their contact case up with new solution and hoped for the best. I closed their case and left them overnight. The next day, I nervously opened the case... and they were as good as new!!! They completely repaired themselves to their size and shape like nothing had ever happened!! I feared when I put them in that they would sting or that maybe they had torn in the process, but nope! They felt and still feel perfect. 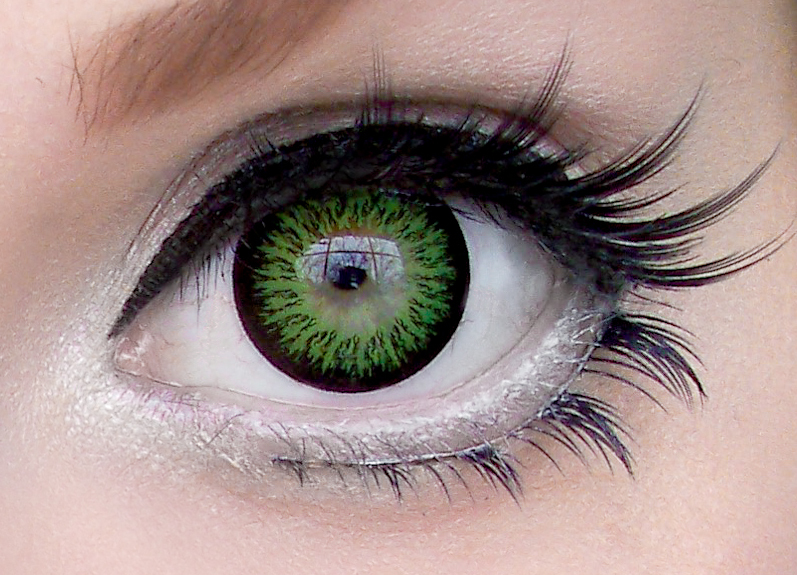 Because they don't have a dark outer ring, they are more natural than dolly lenses, but their huge size, unnatural green shade, and lack of blending to natural eye color, make them pretty unnatural looking. But who likes natural looking anyway? I really love the design of the Nova series, but again, the stock image seems to be a little off. No where near as extreme as the Super Crystal green photo, but the stock photo looks a little more of a blue-green than the actual bright green color of the lens. This one is a really minor hue adjustment and not something I would sweat at all. Ohhh these are just SO PRETTY!!! Ummmm... I LOVE THESE NOVA LENSES. They are almost too comfortable. The design is a fairly unnatural one with the swipe effect and black outer ring, but the design draws in your natural color and helps to blend it so nicely that it is far more natural looking than many of the lenses I've tried. 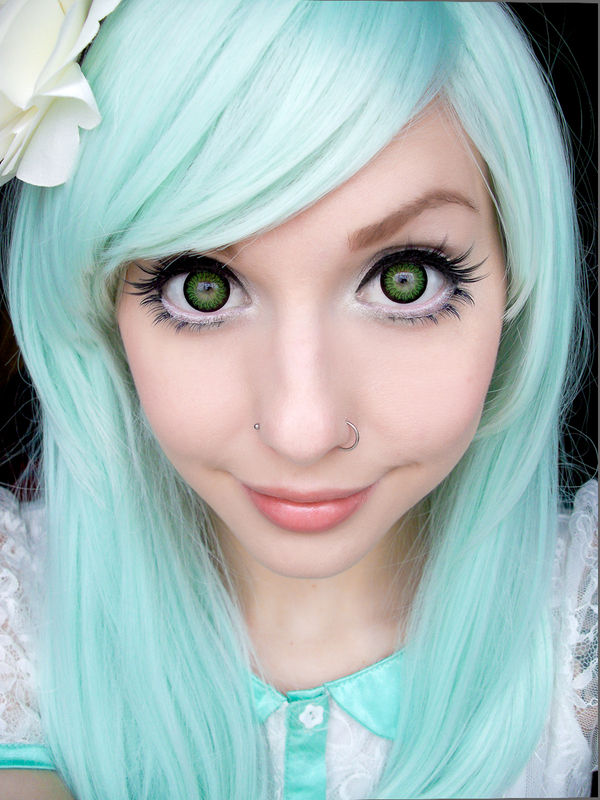 Let's see how these green circle lenses stack up!!! 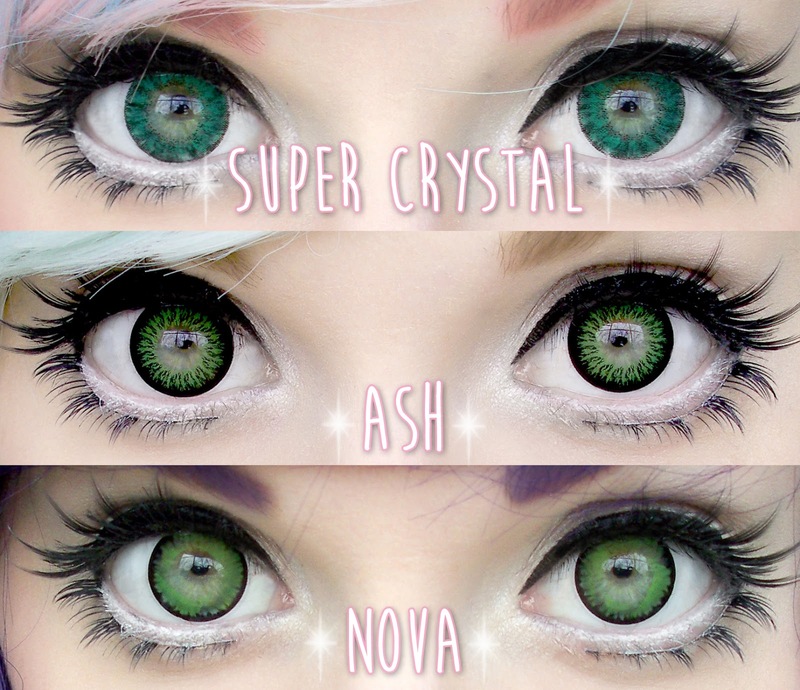 Again, you can find all of these lenses and more on Cos Lenses website! I would say the second would look lovely on you. WOW! 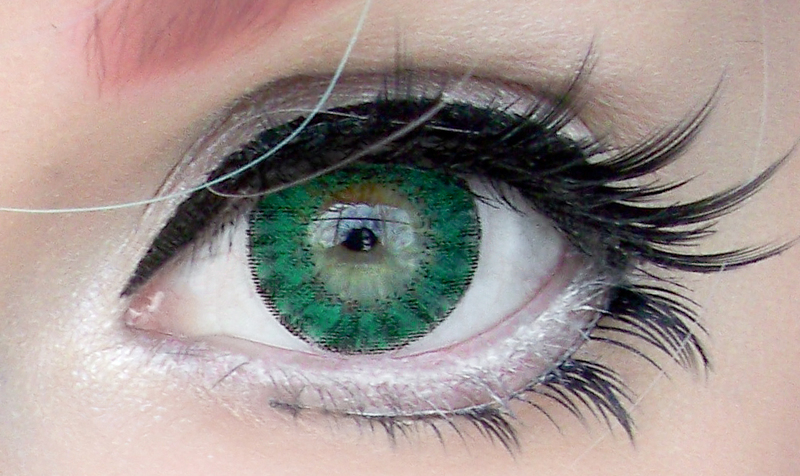 Your eyes look so amazing *w* the lenses really enhance the greenness(?) of your eyes aha! Hello <3 where are you from? I usually order on Solution-lens but do you know another shop that has like Solution-Lens Buy 2 Get 1 Free and other free gifts also free delivery ? I like this shop but I need lenses with correction for my Mom and they don't have :-( Sad, they are the cheapest where I have bought, but I can wear plano lenses and my mum cannot.